Land Rover Discovery Performance, Engine, Ride, Handling | What Car? You might imagine a 2.0-litre diesel would struggle in a car as big and heavy as the Discovery, but the entry-level engine (badged SD4) delivers surprisingly adequate performance. True, there is a bit of a pause between you pressing the accelerator and the car surging forward, but once into its stride speed builds steadily enough. The 3.0-litre V6 diesel (called the TD6) isn’t ultimately that much faster, but it pulls harder at low revs and delivers power more smoothly. We reckon it's well worth the relatively small price premium, even though it still doesn’t deliver the sort of hot hatch-rivalling acceleration you’d get from, say, an Audi Q7. There’s also a 3.0-litre V6 petrol (Si6), an engine that’s shared with the Jaguar F-Type. If you’re hoping for racy performance, you might be a bit disappointed, though. While it is the quickest model in the range, it has to be worked very hard to feel as brisk as the numbers suggest. Driven normally, it actually feels a little weaker than the TD6. That’s why if we had to go for a petrol, we’d opt for the entry-level 2.0-litre four-cylinder Si4 engine. Now, you might think that a small four-cylinder petrol is inappropriate in anything larger than a family hatchback, but with 296bhp this compact engine delivers genuinely impressive straight line performance, with Land Rover claiming an official 0-62mph time of 7.7 seconds. That said, you’ll need to temper your excitement if you want to return decent fuel economy. 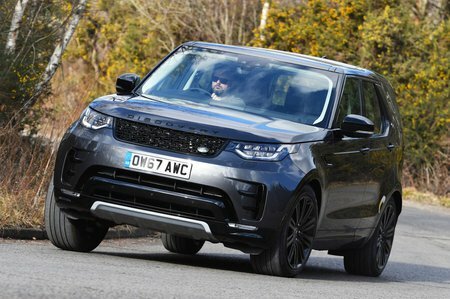 With Blenheim Palace running the Discovery close for aerodynamics, our Si4 test car struggled to return more than 25 mpg on our mixed test route – which falls in line with Land Rover’s official claim of 25.8mpg. All models have a maximum towing limit of 3.5 tonnes, assuming the trailer is braked. The standard air suspension delivers a suitably smooth ride. 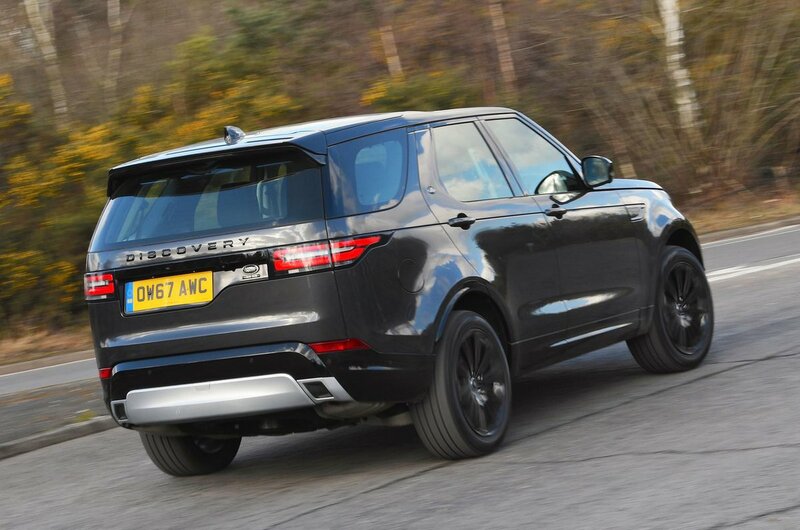 The Discovery is particularly comfortable at motorway speeds, wafting over undulations like a jumbo jet running into very mild turbulence, but even broken town surfaces don’t cause any discomfort. Granted, it’s not quite as serenely comfortable as a Q7 on air suspension but it’s not that far off. Especially if you avoid really big alloy wheels (21in or larger). 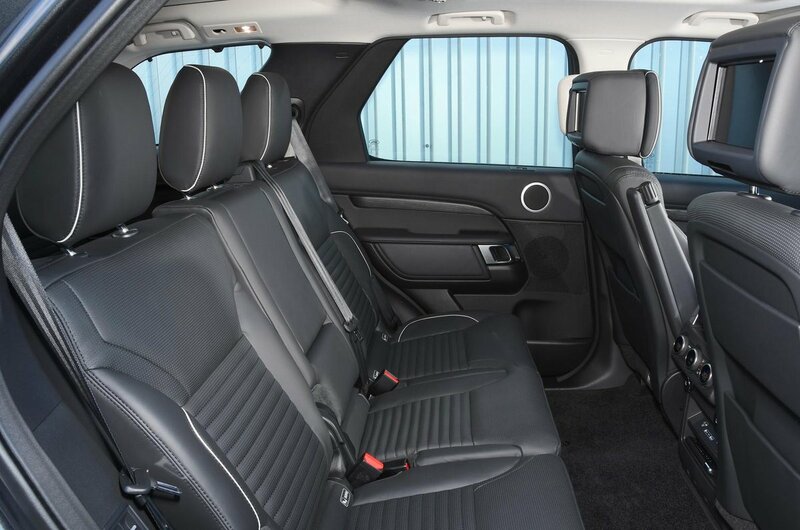 The Discovery is very much geared towards comfort rather than sporty handling. You can steer the car through corners with confidence at reasonable speeds without feeling as though you’re about to tip over, but it never feels as eager to change direction as a Volvo XC90 and leans more when it does. Ultimately, while it can be hustled along fairly quickly, it feels cumbersome and uncomfortable doing it. The steering is slow, so getting around tight corners requires plenty of arm work. The Discovery may not be the ideal town car, but it is among the very best at tackling rough terrain. It’ll confidently explore where rivals fear to tread, thanks to class-leading ground clearance of 283mm, a wading depth of 900mm (also best in class) and a multitude of clever electronics. All-Terrain Progress Control is available as part of the Capability Pack (an option on all trims apart from entry-level S). In effect it's a cruise control for off-roading and works at speeds of up to 19mph. Although the 2.0-litre diesel engine is a bit vocal when you’re accelerating hard, you barely hear a peep from it a steady cruise. The 3.0-litre diesel offers more serenity, though, and the 2.0-litre four cylinder petrol is smoother still. The quietest engine of the bunch is the V6 petrol, although you do hear some supercharger whine when you’re pushing it really hard. None of the engines transmits many vibrations through the steering wheel or the soles of your feet, but the engines in the Q7 are even smoother. Previous incarnations of the Discovery sliced through the air about as well as a double-decker bus. This latest version is hardly a streamlining masterclass but, even so, it doesn’t generate much wind noise at motorway speeds and road noise isn’t a problem. In fact, it’s much quieter overall than an XC90 or BMW X5 in these respects, although it is, once again, bettered by the ultra-quiet Q7.